Reading and share top 1 Martin Luther King Sr famous quotes and sayings. 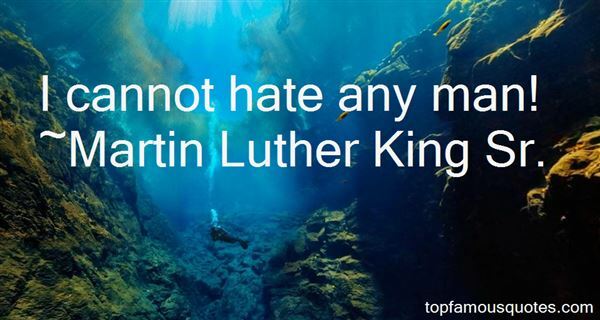 Browse top 1 most favorite famous quotes and sayings by Martin Luther King Sr.
1. "I cannot hate any man!" ~ Martin Luther King Sr.
To tell a love story true, a romance writer must bare hearts, souls and bodies."